In recent months I’ve worked with the German Bohemian Heritage Society to publish a great new book. 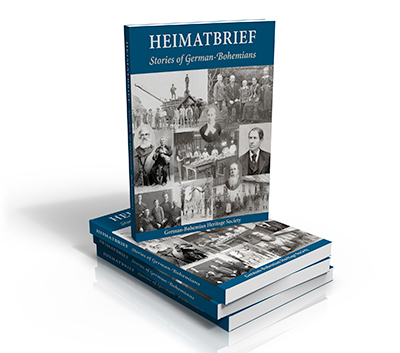 Heimatbrief is a 400-plus page collection of the best articles from their journal, published over the last twenty-five years. It will be available through the GBHS and goes on sale at their spring dinner on May 18, 2013. Some of the stories tell about the search for family history in Bohemia, and are able to share in the great joy found in connecting with our personal past. Other articles honor those who have carried on the work of the GBHS — people like Angie Portner, Karen Hobbs, Paul Kretsch, and Bob Paulson. Time to stop and raise a glass of Schell’s Goosetown Beer to mark the occasion. Tagged: Edinborough Press, German-Bohemian, Heimatbrief.